Are you planning to buy a house in Texas? What do you need to get that dream home you’ve always wanted? Well, you have come to the right place! In this article, we’ve compiled the answers to the question “What do I need to buy a house in Texas?” Here are the requirements in buying a Texas home. When buying a house in Texas, the first thing you should do is research. Consider your financial state and review your credit score. Know the exact amount you can afford. If you are a first-time home buyer, you should know what the minimum credit score is and what are the available down payment assistance in Texas. To buy a house in Texas, you should find a real estate agent. In Texas, however, it is not mandatory to hire a real estate agent. However, their help will minimize any errors when you are putting together the requirements in buying a house. This is most especially true for the legal ones. Real estate agents are very crucial when buying a home. You can look for agents in Texas by visiting websites such as the Texas Real Estate Commission. When you are planning on buying a house, expect that there will be other buyers looking at the home. Getting pre-approved for a mortgage will provide you with an advantage. Not only that but it is quite essential before you make an offer. Also, you should know what the lender’s requirements are. Now that you are pre-approved for a mortgage, you can go and hunt for a property. You should list down what you want from a house and use these to guide you in finding the perfect home. There are tons of properties for sale when you check the local advertisements and scouring the area you want to live in. Not only that, but you can also search for properties online. This is what most real estate investors do. There are tons of sites that offer you a customized search with filters on what your standards are. Have you found the perfect property? It’s time to make a written offer. Yes, that’s right. Offers to purchase a house need to be written in Texas. It is one of the requirements that you should know. A real estate agent can help you with this one. He or she will review the terms and contingencies of the offer. When buying a home, ask appraisers and inspectors for help. 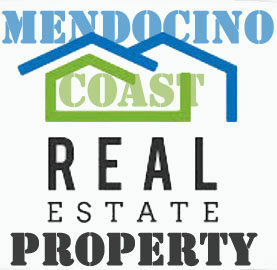 The inspector can assess the property’s standards while the appraiser will check the value of the property. Lastly, your legal advisor or agent can help you determine the escrow of the deal. Once it is agreed upon, it’s time to close the deal. Well, these are the requirements you need to know when buying a house in Texas. Some details may differ; however these are the general steps when you want to purchase a home.